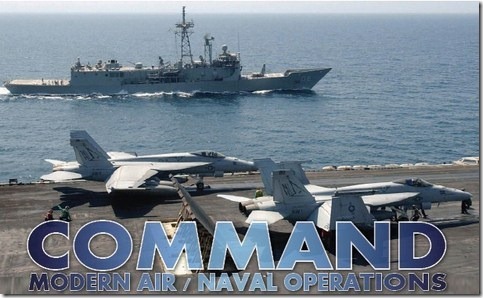 ATHENS, Greece – The WarfareSims crew announced today that their revolutionary new air/naval wargame under development, formerly known as Project: Red Pill, is now titled Command: Modern Air/Naval Operations. The new title won the first place in the “Rename the Red Pill” contest hosted at the Armchair General forums. 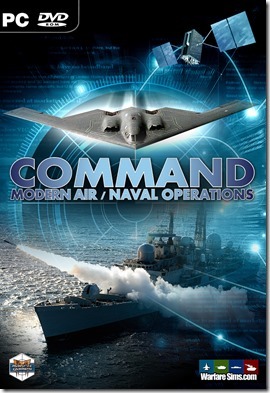 Command: Modern Air/Naval Operations is a comprehensive wargame of air & naval military operations from post-WW2 to the near future, covering scenarios of both total-war and low-intensity/other-than-war situations. Players are able to control forces above, on and below the surface and test their mettle against the computer or another player, in situations ranging from conflicts straight out of the news headlines to classic historical and what-if scenarios.